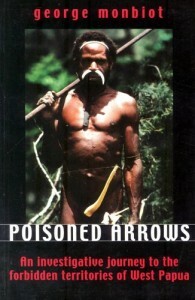 At great personal risk and with forged travel documents, George Monbiot bluffed, cheated and forced his way into the remotest place in the tropics: the forbidden territories of West Papua (Irian Jaya), in Indonesia. Sealed from the outside world by the Indonesian army, it is home to tribes who have developed a unique and remarkable culture, and who are now, along with their forest land, being systematically obliterated. Monbiot uncovers a story never properly documented before. This is a new edition of one of the classics of investigative travel writing.